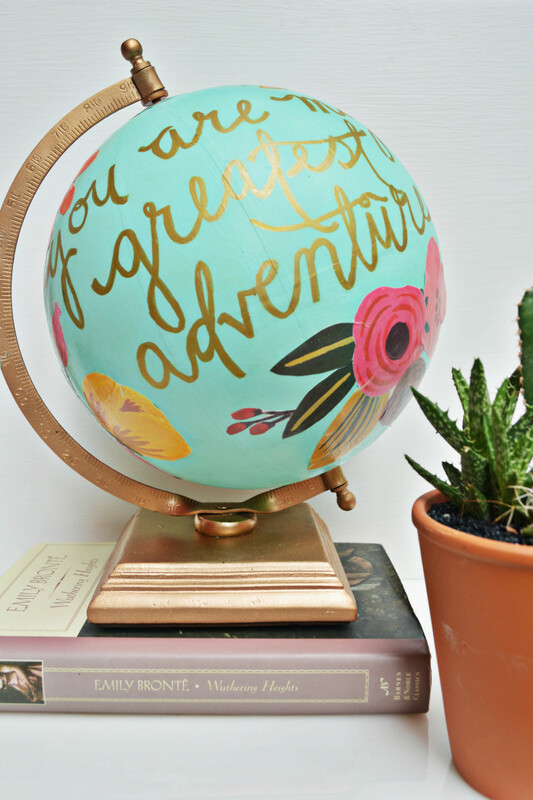 So after eyeing this gorgeous globe for over a year I finally decided to create my own version! 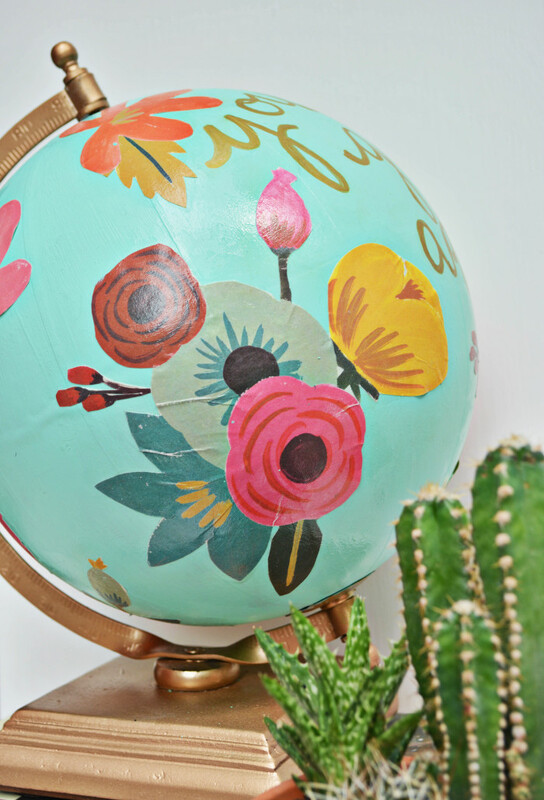 I have seen a few DIY options for some of the 1canoe2 globes but most of them were of the stars globe (which is perfect for a nursery!) or were not the look I was going for. 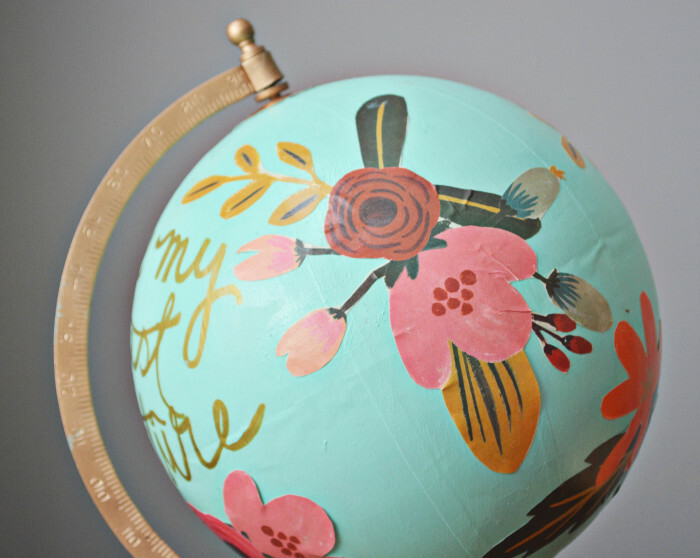 Plus, unfortunately you can no longer buy these globes at Anthropologie so I set to make my own. Whenever I do anything with florals I immediately think of Rifle Paper Co. I seriously cannot get over how gorgeous their stuff is. I have a Rifle Paper Co. phone case and admire it all day long. Ha! At first I thought of trying to paint florals that were inspired by Rifle Paper Co. but I had some gift wrap already in my craft room and decided that decoupage could turn out lovely! And I am so happy I did it this way. I am not a great painter so this was way more fool-proof, plus the florals are not just Rifle Paper Co. inspired, they are Rifle Paper Co.! 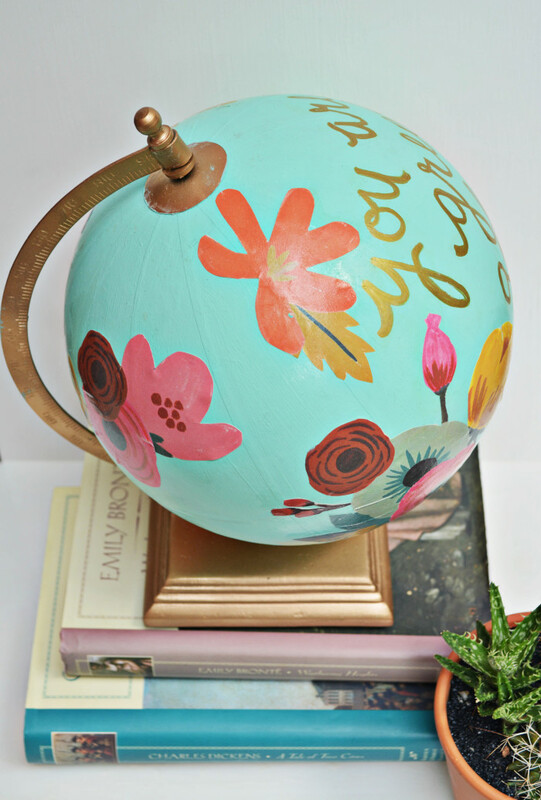 And this globe is going to have a great home in Ellie’s floral adventure room! It also cost about $35 and the original was about $150 I think. 1. 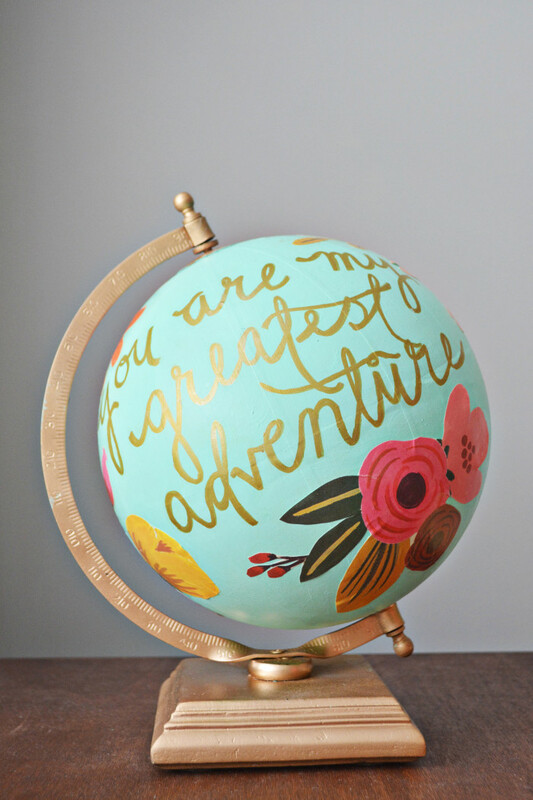 First spray paint the entire globe gold. 2. 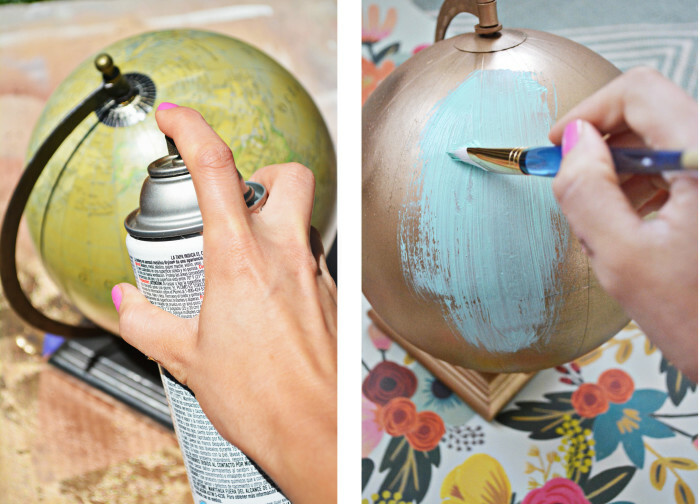 Once the spray paint is dry, paint the globe part in the light mint color. You will want to do at least 3 coats. 3. 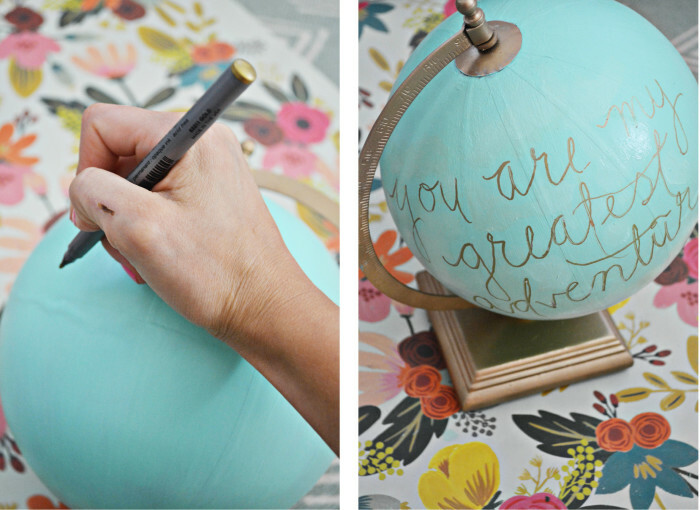 Next, write your saying on the globe in the center at an angle. You might want to trace it with a pencil first to make sure the placement and spacing looks right. I just free-handed it in the best script I could manage. I chose the quote “you are my greatest adventure” from Moonrise Kingdom. 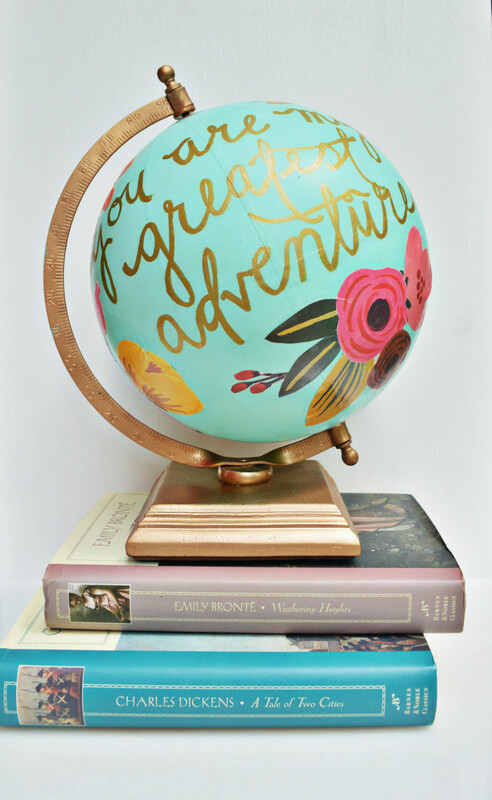 The original globe has a great Shakespeare quote and really anything would work here so just choose your favorite saying. I also used a gold permanent marker instead of just gold paint because I knew that the wording would come out much better that way. I then traced it two more times to make the lines thicker. 4. Carefully cut out some of the florals from the gift wrap. 5. 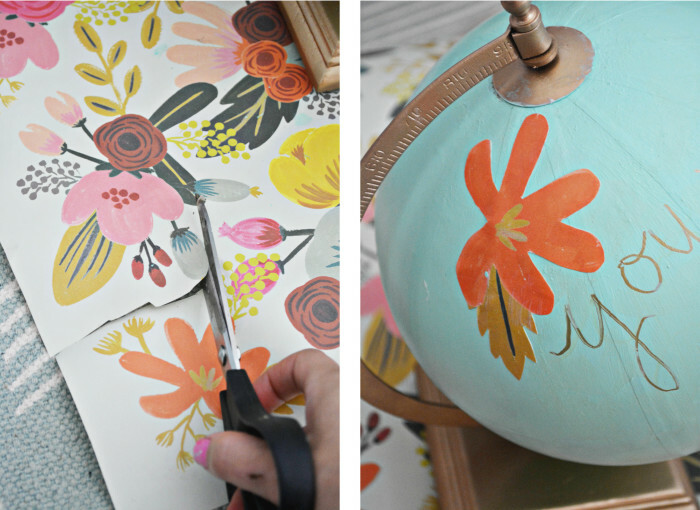 Use mod podge to adhere the flowers to the globe around the quote. I just cut out different sizes of bouquets and individual flowers and played around with what combination looked best. Once they were all glued on I then did a layer of mod podge on top. 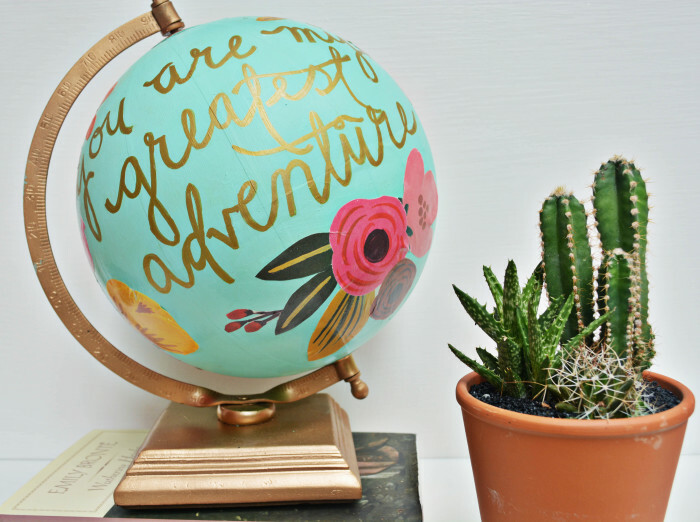 Once is is all dry you are ready to display your new floral globe! Here are some close-up shots so you can see the detail. I am in love with this project! This is absolutely gorgeous! 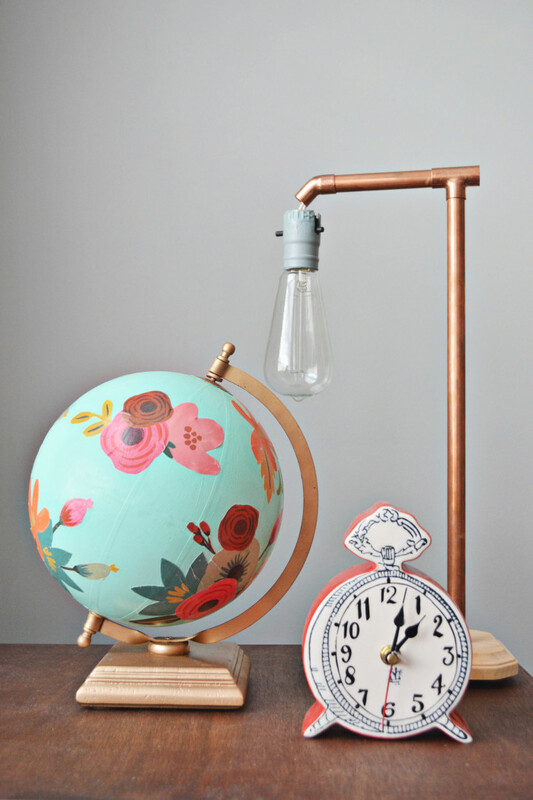 I love globes and this one is incredible! I’ve shared this onto my Anthropologie Pinterest board.